Diagnosed with autism at two, Jacob’s teachers and doctors were astonished to learn he was able to teach calculus to college students. 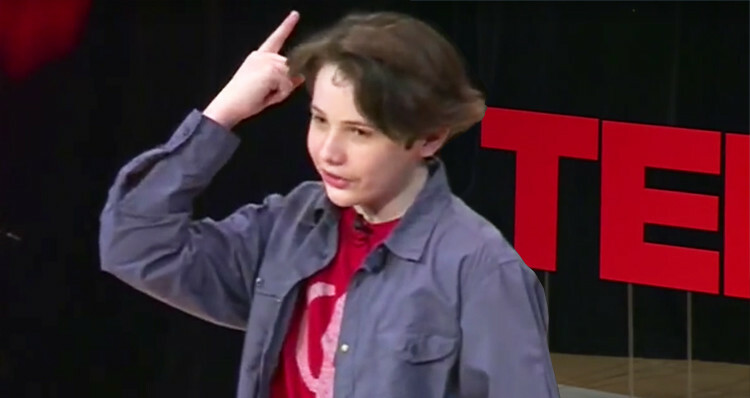 Jacob Barnett is an American mathematician and child prodigy. At 8 years old, Jacob began sneaking into the back of college lectures at IUPUI. After being diagnosed with autism at the age of two and placed in his school’s special ed. program, Jacob’s teachers and doctors were astonished to learn he was able to teach calculus to college students. At age nine, while playing with shapes, Jacob built a series of mathematical models that expanded Einstein’s field of relativity. A professor at Princeton reviewed his work and confirmed that it was groundbreaking and could someday result in a Nobel Prize. Jacob, a math and science prodigy, eventually enrolled at Indiana University-Purdue University Indianapolis at the age of 10 and went straight into a paid research position in the field of condensed matter physics. For his original work in this field, Jacob set a record, becoming the world’s youngest astrophysics researcher. His paper, “Origin of maximal symmetry breaking in even PT-symmetric lattices,” was subsequently accepted for publication by Physical Review A, a scientific journal shared on sites such as NASA, the Smithsonian, and Harvard’s webpage. Jacob’s work aims to help improve the way light travels in technology. He was admitted to a one-year non-degree master’s level program at Ontario’s Perimeter Institute for Theoretical Physics in 2013. He completed that program in 2014 and is currently a doctoral student at the Perimeter Institute where he is researching Loop Quantum Gravity and Quantum Foundations.